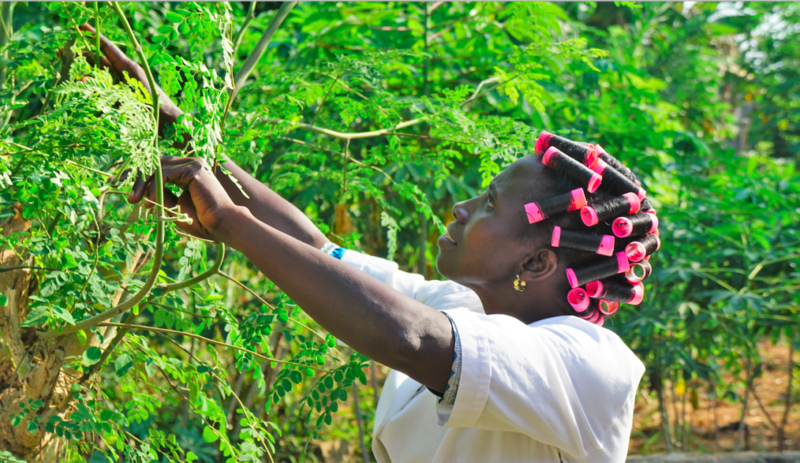 Unlike most shoppers who discover Kuli Kuli’s moringa products at their local grocery store, Rosemary first heard about the moringa tree through her connection to West Africa. Her daughter lives in Ghana and similarly to our CEO and founder, once she learned about the miracle tree she was unable to forget. Naturally, she brought samples back to the states for her mother, Rosemary. Rosemary co-founded the food blog, Get Cooking Simply. It is driven by a passion for “delicious, healthy food– done simply”, making it a wonderful resource for chefs at every level. Rosemary is determined to eliminate the “dinner dilemma” that pushes so many of us to dial our local pizzeria rather than open the fridge and create a meal with on-hand ingredients. 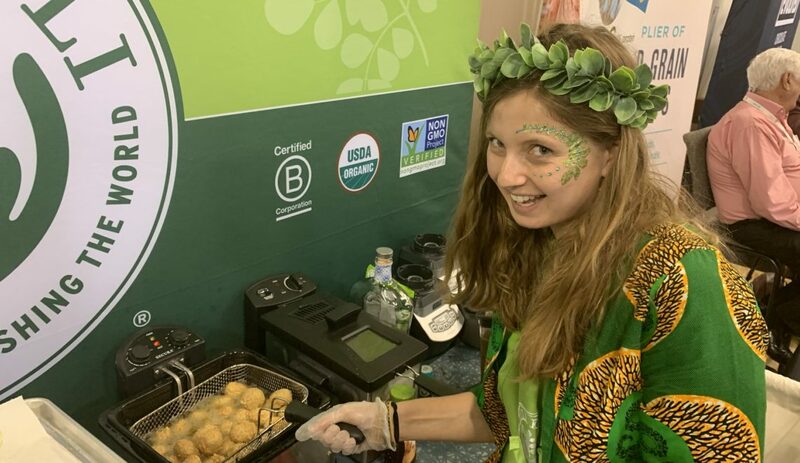 The sample of Ghanian moringa powder paired with reading about the advantages of eating moringa everyday, made Rosemary excited about using moringa as an ingredient. 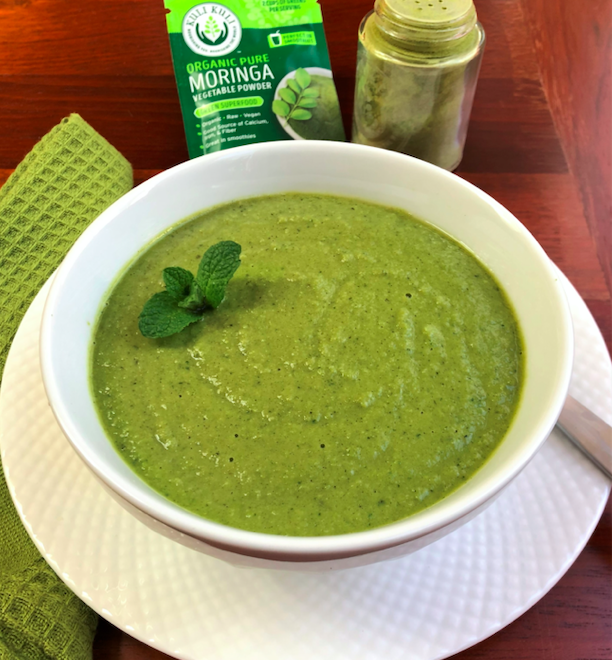 The first of hopefully many recipes we get to share from Rosemary is for this tasty Moringa Mint Pea Soup! It requires very few ingredients, only takes 10 minutes to prepare and is packed with key vitamins that will keep your immune system strong. Heat oil in a medium saucepan. Saute leek or onions over medium heat until soft, but not browned, 3-4 minutes. Add broth or water and bouillon cube and peas. Bring to a strong simmer; cook about 5 minutes for raw fresh peas, or 2 minutes for frozen. Remove from heat. Add Pure Moringa Powder, parsley and mint. Puree with a hand-held wand, Or pour into a blender or food processor and blend carefully on medium speed with lid well secured. Add additional water if thinner consistency is desired. Serve warm or chilled. Plant-based protein needs to have the 9 essential amino acids to be a complete protein. Moringa is complete protein, with 3 grams protein per tablespoon serving. I recommend starting with ½-1 teaspoon serving, and evaluating amount for your taste. Tart foods like yogurt, smoothies with other greens, and salad dressings are great ways to use moringa powder for nutritional boosts. If you make this recipe, take a picture and tag @KuliKuliFoods and @RecipeRose on Instagram and hashtag #KuliKuli and #MoringaInspired so we can see your delicious creation!